BizBash, the premier resource for event and meeting professionals in North America, has announced that The Gourmet Food & Wine Expo has been recognized on its annual list of Top 100 Events in Canada, for the second consecutive year. These influential events continually challenge the norm, push limits to evolve, and engage their audiences in an effective and meaningful way. The Expo, Canada’s biggest food and drink event, is back for its 23rd year, at the Metro Toronto Convention Centre, November 16-19, 2017. Guests are invited to sip and savour through international gourmet cuisine, exotic delicacies, incredible wines, cutting edge cocktails, stunning craft beers and more, as the Six comes alive for four glorious days. 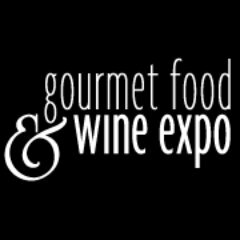 The Gourmet Food & Wine Expo and the rest of the Top 100 Events in Canada can be found at www.bizbash.com/top-100.